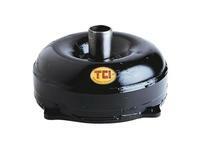 TCI's most economical converter - Great for stock to mild performance. Also smoother idle in gear. Typical stall 300 - 600 RPM over stock. 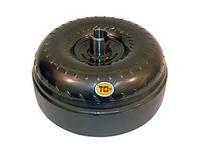 This exciting torque converter series is designed with the street rodder and enthusiast in mind. Economically priced, and intended for use in stock or mildly modified engines, the Sizzler­ torque converter improves drivability and offers smooth in-gear idle without adversely affecting gas mileage.